This article identifies online lesson plans that can be used to introduce visualizing, a comprehension skill important to both science and literacy learning. Each of the lessons meets NCTE/IRA English language arts standards. 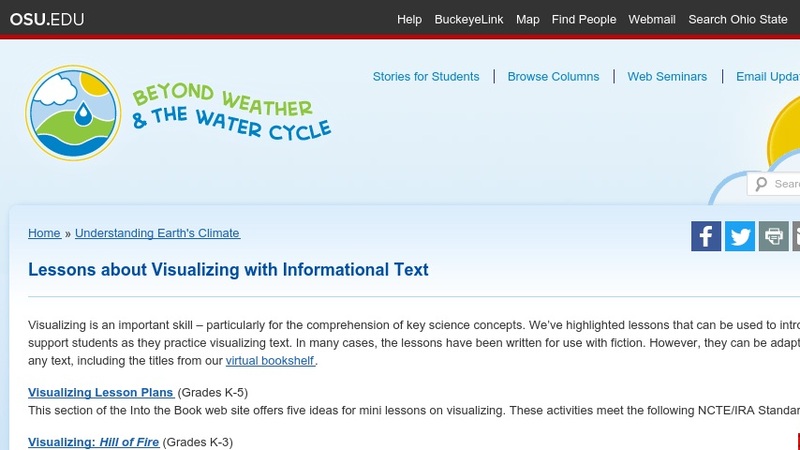 The article appears in the free online magazine Beyond Weather and the Water Cycle, which is structured around the seven essential principles of climate science and literacy.